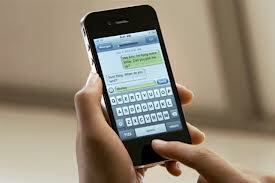 Physicians love to text message given it is fast, easy, and convenient. However, regular instant messaging (SMS, MMS) that comes with your smartphone is not secure, saved unencrypted on a server somewhere (forever), and most importantly not HIPAA or HITECH compliant. Enter the encrypted and HIPAA compliant messaging services. Though most of these services cost a nominal fee per month, there are a few and growing number of services which offer free and secure instant messaging. Even better, pretty much all these services including the free ones allow sending messages with unlimited characters, pictures, video, and audio along with text. Regardless of the service, there are two elements that allow for encrypted SMS and MMS. The best free HIPAA-compliant messaging services that's out there that I'm aware of are qliqConnect which is geared towards health professionals and Wickr which is geared towards anybody. qliqConnect is available for use on the desktop, iPad, iPhone, and Android. Wickr is available only on the iPhone (Android coming soon). Wickr offers complete self-destruct of messages after a certain period of time (all metadata with pictures, video and audio files, like your device info, your location, and any personal information captured during the creation of those files). qliqConnect does not. No email is required with Wickr. qliqConnect does. Wickr also states that messages are secured using military grade encryption that exceeds HIPAA standards and unencrypted messages are NEVER stored on any server. It is unclear whether qliqConnect offers similar level of security. Depending on your needs, one of these free services may be more suitable than the other. Of course, the weakest link for full adoption is that everybody you want to securely message with also needs to sign up for the same service. In the end, if I'm a betting man... Wickr will probably win out in the end, especially once they have software available for platforms beyond the iPhone.